Nev Doidge is a registered Practitioner and Social Worker from South Island NewZealand. Having fought addiction for 20 years, trying various treatment centers and modalities, he understands the struggles and difficulties individuals may encounter before finding their their way to freedom from addiction and underlying issues.Nev has now been on the journey of recovery and working in the field for the past 14 years. Nev began his career as a social worker, being an advocate for change with criminal offending youth, helping turn their lives towards better futures. After which turned his studies towards addiction specific and began working in a medical detoxification unit which lasted for a 4 year period. During this time he was also the onsite live-in support worker in a transition house for those just having left treatment and finding their feet back in the community. Nev took a special interest in the neurobiology of addictions and social learning theories and formulated educational sessions he would present to various schools, organizations and other institutions while in New Zealand. Hethen worked as a case manager at Care NZ before moving to Indonesia in 2010. Since then he has helped build other treatment programs in the Asiatic region, worked as a group facilitator, educator, case manager, support worker and counselor. Nev has a passion for helping others. 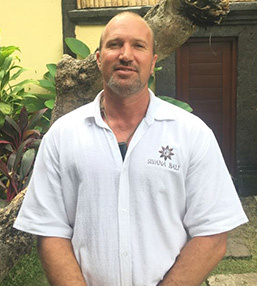 This combined with his knowledge of empirical evidence based practices proven to work, his personal experience and his experience as a social workerenabled him to find a group of professionals with the same vision to build the holistic approach to treatment and the Sivana Bali Addiction Treatment Center. 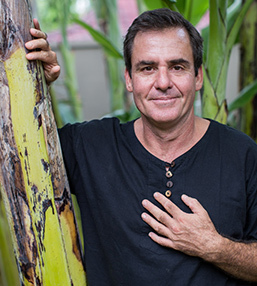 Nev has a passion for the ocean and surfing, martial arts, he is a musician and now enjoys life helping individuals find their passions once lost to their addiction and supporting them finding their way to recovery. 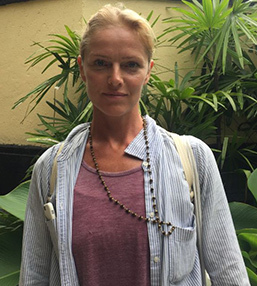 Nadine is the Clinical Director of Sivana Bali, and has been with our team for a year now.  Nadine is from New Zealand and has experience in different areas of addiction. She has a Post Graduate Diploma in Addictions and Co-existing Disorders from Otago University, and is also registered as an AOD practitioner and Clinical Supervisor with a New Zealand body of AOD counselors. Nadine began her career working in a Methadone Maintenance program, and working with youth offenders, and from there worked in a small treatment center as a counselor. She has worked 7 years in Prison Therapeutic Community Drug Treatment Units, as a counselor and a Program Manager in both female and male prisons; the male prison was a new initiative from the government setting up the program within a high security unit. From there, she was hired as the Gambling and Addictions Specialist for the Gambling Helpline, Lifeline Aotearoa. 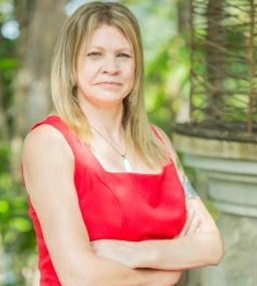 Nadine has worked in private treatments as well as non-government, and intensive outpatient programs during her career, which has moved her throughout New Zealand and then onto a private rehabilitation centre in Southern Thailand. Nadine worked for DARA Rehab for 3 years, between both the 12 step and CBT centres. Throughout her time there she worked with people with addiction issues from all over the world, expanding her cultural and treatment knowledge. During her time there, she had varied roles, as the Senior Counselor, Program Manager, in both centres, focusing on new initiatives, and making the program even more influential and holistic to the client group. Nadine herself is 20 years in recovery from addictions, and went through a Therapeutic Community program in 1998. She is passionate about the 12 step program, and many other modalities of addictions treatment, including Motivational Interviewing, CBT, Therapeutic Community models and Solution Focused Approaches. She is motivated in new and cutting edge research, and finding ways and means to better treat our client groups. David is our newest member of the Sivana Bali family, and is our Program Manager. He has extensive experience and qualifications in a variety of addiction and treatment programs, and has been actively working in the AOD sector for 30 years. David comes from Sydney Australia, and has worked in the Correctional field for many years, implementing and designing programs for the Government Justice System. David has an Advanced Certificate in Addiction Studies – which led onto other qualifications relating to the Prison Environment, including Certificates in Frontline Management, Cognitive Behavioral Therapy, Group Facilitation and Risk Interventions. David has extensive community knowledge and experience dealing with alcohol and other drugs issues and in establishing and maintaining networks with relevant community, government and non-government agencies. As a recovering addict with over 37 years of active recovery, he has a solid foundation in 12 step as well as other modalities of addiction and treatment. He is also an avid surfer, and enjoys the lifestyle Bali has to offer, as well as his passion for seeing people become motivated and passionate about their recoveries. David is an Analytical Psychotherapist, Certified Hypnotherapist, Master Practitioner in Neuro–Linguistics. David has been with Sivana treating addicts since 2015. David sees his role in the early stages for addiction treatmentcentre on cognitive behavioural processes. Of primary importance is to gain the trust of the client in order to glean honesty, openness and willingness. From this point it is all about resourcing the client through creating awareness of core beliefs and origins of dysfunctional behaviour. David is committed to helping those who suffer from the disease of addiction. He believes treatment for the illness and mental issues on a co-occurring basis is the most effective. David enjoys his own experience of Recovery. 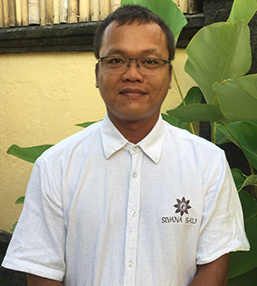 Nanul’s previous organization and work related experienced has lead him to become professional House Manager and Recovery Coach at Sivana Bali. Prior to joining Sivana he gained valuable career experience by being a HIV/AIDS volunteer for harm reduction program in Yayasan Kesehatan Bali. He then become part of Muda Berdaya Yakita Bali Organization as a facilitator and coordinator in their rehabilitation program. Following this he began to work at Yayasan Kasih Kita Bali as an addiction counselor and clinical staff from 2011 to 2014 before moving to Yayasan Bali Suara Hati as a recovery coach for 1 year. In 2015 he joined Sivana Bali to help it build and grow with a vision to assist the Indonesian addiction community through our non profit facility Yayasan Pesona Sivana Bali. 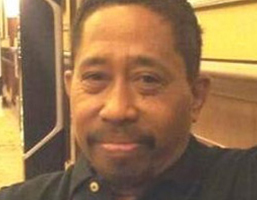 Gede is the facility manager and has been working in managing luxury villa’s and property management for 15 years. In his previous role he managed an upmarket holiday villa in Seminyak, including managing all of the staff and responsible for the entire property for 7 years. Over his career, Gede has also run his own building company and built or renovated a number of villas in Bali over the years. 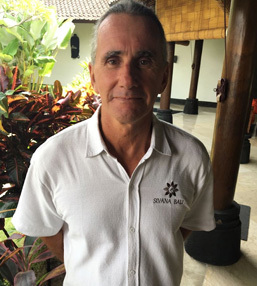 He and his team are instrumental in getting and keeping the Sivana property looking as wonderful as it does. 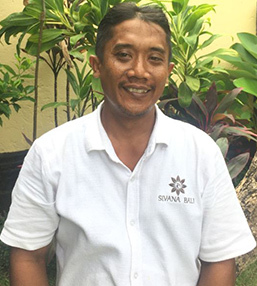 With a passion for hospitality he and his team are always looking to make clients feel happy and relaxed and enjoy their time at Sivana Bali, until the clients feel Bali is their second home. Gede is always looking to learn and his motto in life is to answer the question life is what you have done in life, not how much you have. As well as being a lawyer, Mr. Hukom has been engaged as a Director by Sivana Bali. He has been a pillar of the community for more than 20 years, and feels that Sivana Bali and his community have similar objectives ultimately – to serve and help people in need. Doctor Thong heads up the Medical Team for the Sivana Bali Group. 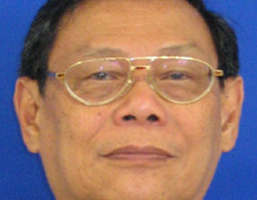 He has been qualified as a psychiatrist for more than 40 years, and has a clinical reputation in Bali second to none. He has over ten years of direct experience assisting intravenous drug users with medical detox regimes. Dr. Thong also holds the position of President Director of the world-class BIMC Hospital located in Kuta, Bali, Indonesia. Dr. Denny specializes in the field of mental health services, working closely with those afflicted with alcohol and chemical dependency. He has over ten years of direct experience assisting intravenous drug users with medical detox regimes, while following their care from a psychiatric and mental health stand point. Doctor Denny is also the author of: A psychiatrist in Paradise. Treating Mental Illness in Bali. Dr Yasmin studied medicine and graduated from Hasanuddin University, one of the top medicine faculties in Southeast Asia in 2012 and has additional qualifications in emergency medicine and withdrawal management. 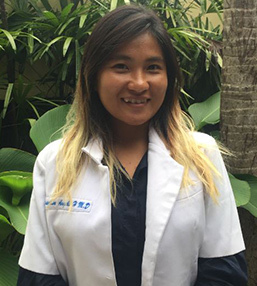 Having worked right across Indonesia, Dr Yasmin has been exposed to a variety of different areas of medicine and local conditions making her highly adaptable and sought out. She has developed a deep interest in the field of addiction and withdrawal management and ensuring our patients have the utmost comfort and care during their early days and for the rest of their stay at Sivana and takes great pride in watching the clients as they progress in recovery. Dr Yasmin has been with Sivana since its inception and holds her medical license at Sivana Bali Treatment centre. Bayu graduate with a Bachelor of Nursing from the Institute of Health Science, Wira Medika Bali in 2015. His interest in all areas of nursing and friendly, caring and professional personality make him ideally suited to this field. He has worded at Puri Medica since 2015. Rara is a highly experienced nurse and has substantial experience working with alcoholics and addicts in their medical treatment. She is really enjoys being a part of the clients transformation. After she qualified from Dian Husada Mojokerto Nursing Academy in Surabaya in 2010, she moved to Bali and began to work at Pramasidi Hospital in Sigaraja. 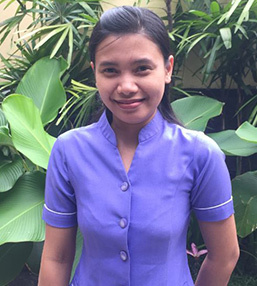 From there, after she gained valuable experience, she moved to Poppies Medical from 2011 to 2013. Rara has been a highly valued member of the team since 2013 with vital experience in addiction nursing. 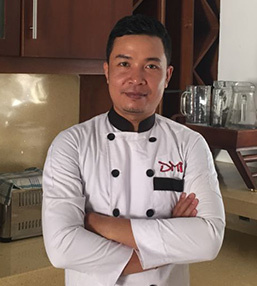 Chef Wayan has a long history of hospitality industry experience especially in the food and beverages area. He began his career as a commis chef in one of the best Italian Restaurants in Bali which developed his fine cooking skills. Over the course of his career in the hospitality industry, Wayan also received his Diploma from the most prestigious University in Bali focusing in Hotel Management. Additionally, he has worked in some of the most exclusive private villa’sin Seminyak, Canggu and Sanur during his career. Balancing out his skills he has gained very valuable overseas experience in Greece, Italy, and Moscow which has shown in his cooking. Wayan takes great pride in the dishes he cooks and loves that he gets to help with getting the clients back eating delicious, healthy meals which plays such an important part in there recovery. He loves to be part of the Sivana family and learning something from every client he meets. Kadi is originally from Estonia, but is an avid world traveller. Having been a long standing devotee of yoga, she begin teaching yoga sciencein 2013 and has been instrumental in running Yoga Retreats since 2013& travelling with her yoga since 2014. A core Specialization of her practise is spinal health and healing practises with personalized yoga practise and Self-development.Kadi is passionate about the difference that yoga makes in the lives of people who are getting clean and sober and watching them develop physically and mentally through this process. Her practise incorporates Tantric Kundalini, Hatha and Iyengar Yoga and combining different body techniques like Alexander and Feldenkrais in order to heal the natural balance of the body and building body awareness and connection in the combined and fastest way. Always blends her teaching with a combination of yoga theory and sharingof ancient healing. Studied Theology and history of religions in University. My biggest hobbies are Balinese healing traditions, photography and videography.